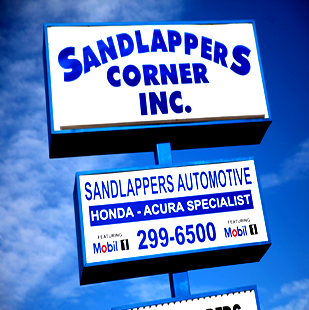 At Sandlappers, we've gone one on one with the automotive service industry and the unforgiving element of time. Through it all, we've listened closely, done our homework and built a level of quality, innovation and total performance that has no peers. Day in and day out, Sandlappers has made a habit of pushing themselves to the absolute limit; squeezing every ounce of knowledge from each test and real world experience. After nearly 20 years of non-stop innovation, one thing is certain. NO other shop is as capable and as experienced as Sandlappers. It is a compelling reminder that the power of our past is the focus of our future. We have evolved into a fully functional, highly technological, state of the art Automotive Facility. 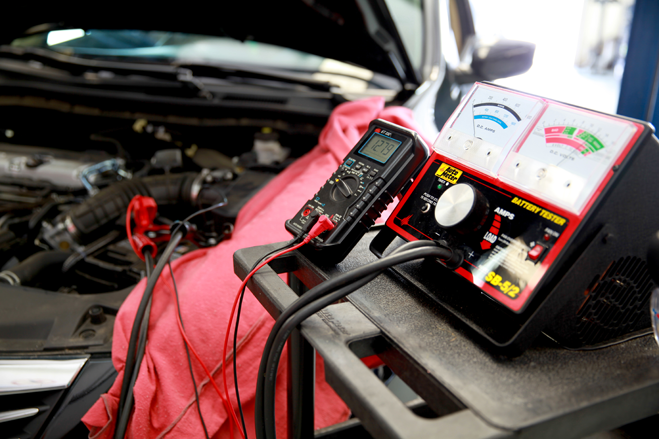 Offering Genuine OEM parts, and warranties with all our services. With this we certainly have the means and mobility to stay up to date with all the technological changes to our vehicles and economy. ASE Certified. Why is it important?